Union Square Press, 9781402774348, 336pp. Between 1940 and 1957, 33 bombs--strategically placed in Grand Central, Penn Station, Radio City Music Hall, Macy's and other populous areas of New York--paralyzed the city, sending shockwaves of fear through an unsuspecting public. George Metesky, the Mad Bomber,” unleashed a reign of terror that reverberated through America's social, legal, and political landscape, ultimately spurring the birth of modern criminal profiling when a crime psychiatrist was called in to assist in the manhunt. 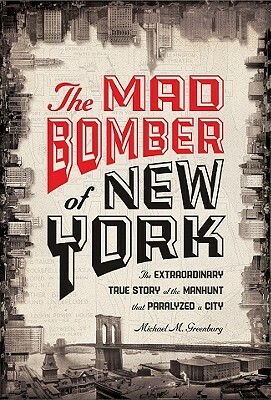 Compelling historical true crime, The Mad Bomber of New York is the gripping tale of two individuals engaged in a deadly game of hide-and-seek, with the city of New York caught in the crosshairs.